Ah I’ve been looking forward to this Citizen AT4007-54E review for a while. It’s another stunner from the Eco-Drive range. 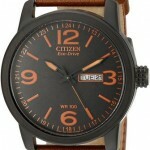 If you get a chance do check out my top 8 eco drive watches under £200. While this one may not make it into that list you might find something a little cheaper that you like just as much. As I mentioned earlier, I’ve been looking forward to this one. It’s one of my favourite eco drive watches currently on the market. I’ll be delving into the details of what makes this watch value for money, so hopefully you’ll understand what goes in to making a watch this good. This is almost a perfect design for me. I like the larger dial at 42mm which all the little details from the chronograph. I also love the subtle use of blue on the smallest details for the watch, the bottom dial marker, the Sunday on the date display, and finally the blue washers on the chronograph buttons. Overall it looks great with its fantastic design and has tons of awesome features. Watches with these little hints of blue for the hands or markers on the watch are becoming more and more popular at the moment. The glass used for the dial of the watch is a sapphire crystal. This is one of the hardest crystals used. The sapphire glass is 3 times tougher than your standard mineral glass and up to 20 times tougher than the basic acrylic that is sometimes used. With this being one of the toughest glasses available you can see why it adds to the overall price of the watch. I was actually expecting to see the mineral style so was pleasantly surprised. Looking at the size of the watch now. The diameter of the watch is 42mm, this is classed as a large dial and is now your typically watch size for men these days. The thickness of the watch is 13mm which is classed as large so you’ll notice it’s a little thicker than your standard watch but not too over the top. A pretty cool feature that is sometimes over looked is the perpetual calendar used for this watch. For some people wondering what that is i’ll let you know. The perpetual calendar automatically adjusts for the varying lengths of days in a month and for leap years. You’ll noticed at the end of a month on most watches you’ll have to fiddle about with the date again but on this it will sort itself out which is a nice bonus. 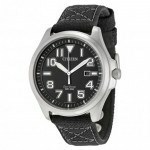 The AT4007-54E uses atomic timekeeping making it one of the most accurate watches in the world. The watch uses a radio to connect with an atomic clock and keep its accuracy non stop. 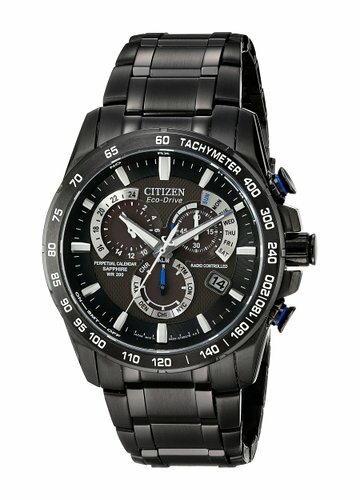 This is powered by a Citizen Eco-Drive E650 movement which you can learn all about from following the link. So what is eco drive technology? This basically means the watch uses the power of the sun to charge itself up, no longer requiring a battery or any battery replacements. This is a great money saver and stops your watch from ever running out. The clasp is in a fold over style but with a hidden push release. This means the buttons are either side of the clasp and you just push them together to release the watch. Personally I quite like these as I’m not a fan of the standard fold over design. Overall this watch has some fantastic features, the sapphire glass, the perpetual calendar, the chronograph function and the atomic clock time keeping. I think you can clearly see why it’s the price it is. I love the design and the blue detailing as I mentioned earlier. All in all it’s a watch I would personally love to own. If it’s not quite what you’re after I suggest you take a look at my top 100 under £500 for some inspiration. 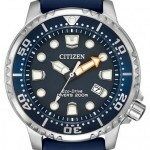 Well that was my Citizen AT4007-54E review, I hope you found it helpful. You can buy this watch on Amazon.